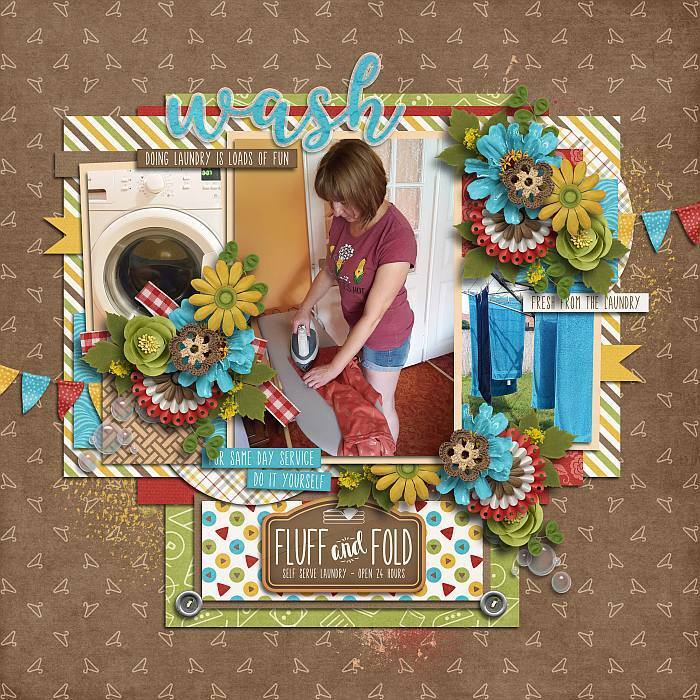 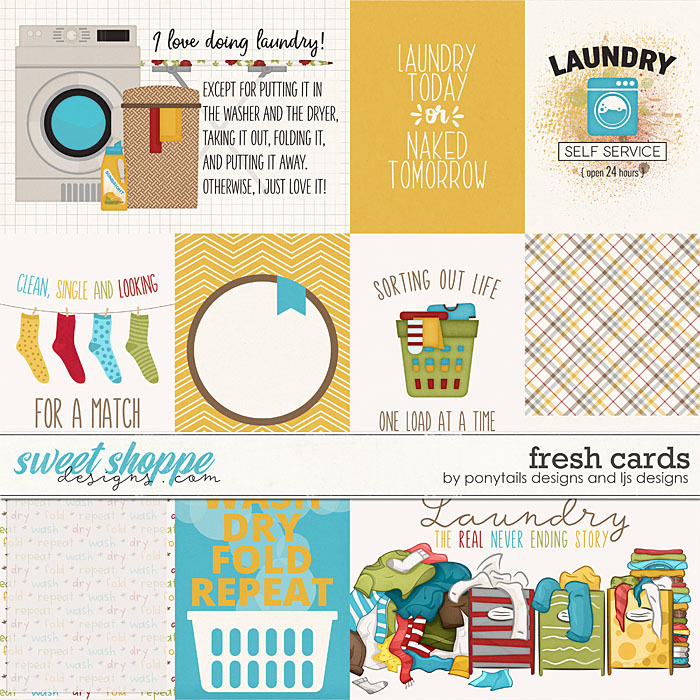 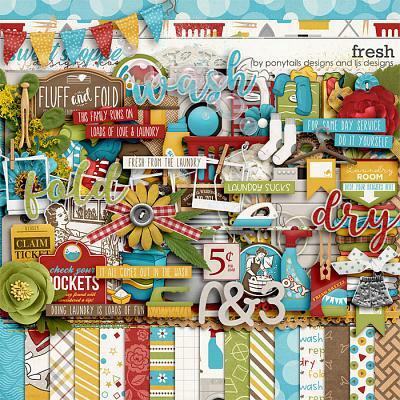 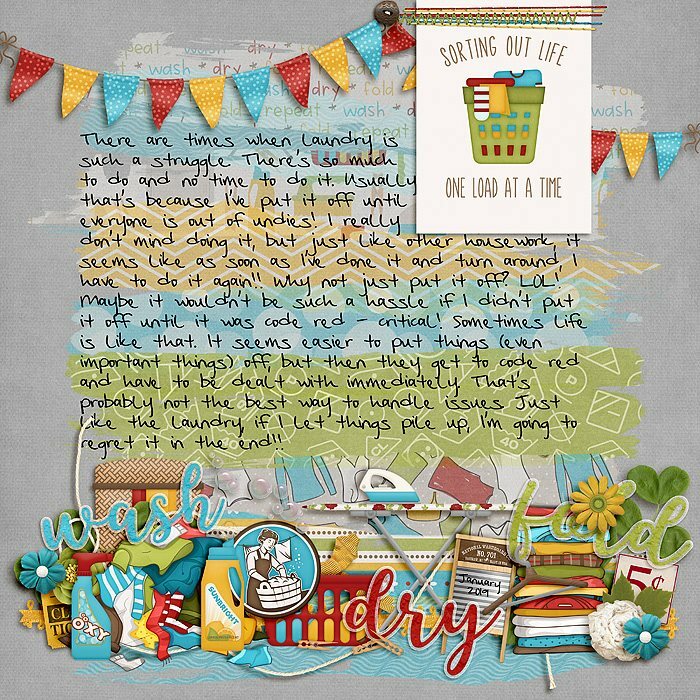 A digital scrapbooking bundle by Ponytails Designs and LJS Designs, Fresh is about the real never ending story-- laundry! 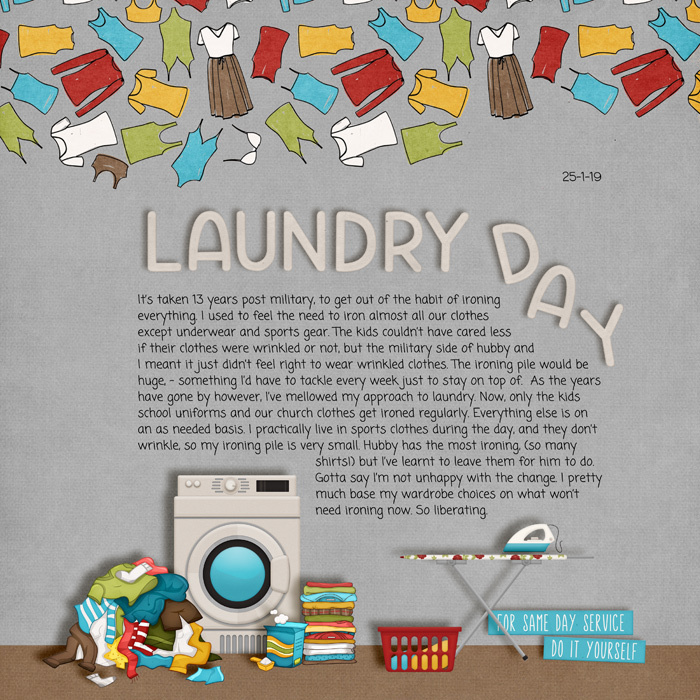 We all know too well the endless chore that laundry can be, from sorting, to washing, to drying, to ironing, to folding or hanging, it just goes on and on and on. 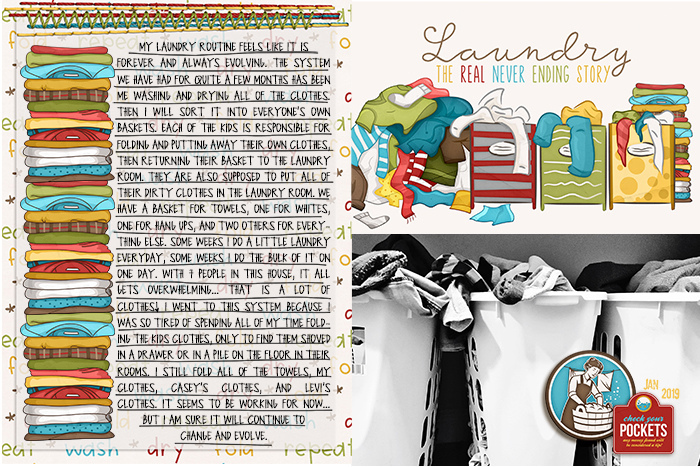 With laundry being a big part of our every days lives, it only makes sense to air our dirty (and clean) laundry stories in our scrapbooks. 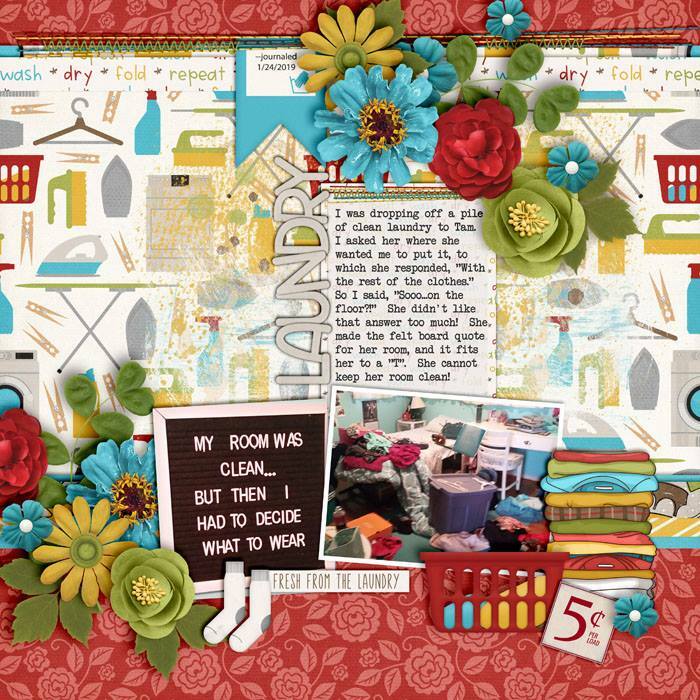 Over 85 elements including clean clothes, 2 clothes pins, 2 dirty clothes, 8 flowers 3 frames, 13 labels, 4 leaves, price tag, sign, socks, sticker, stitching, suds, 6 word art, 3 accordian flowers, banner, laundry basket, 3 bows, bubbles, 23 buttons, 2 detergent, doily, dryer, dryer sheets, 9 flags, hamper, hanger, iron, ironing board, 3 paint, 2 ribbons, 2 ric rac, scrubbrush, spray bottle, string and a washer.